Signs N Such was started by Connie and David Hutchison Sr. back in 2004. They are proudly making Signs-N-Such the best sign shop in their hometown of Knoxville, TN. Four nominations and two wins were awarded to them for the “Best Sign Shop in Knoxville” from the Big Wigs. These are only a few of the accreditations that have been awarded to the hard-workers of this family and team. 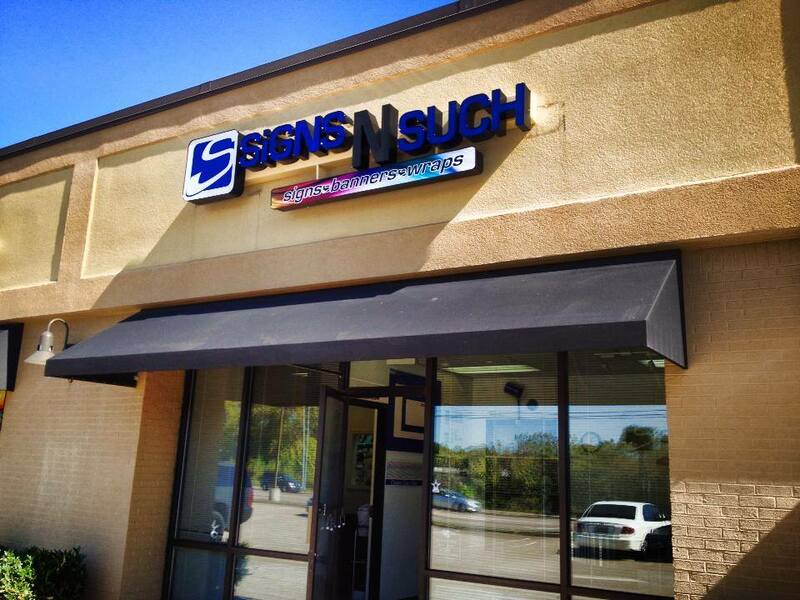 One of the pillars of success for the SNS crew is customer satisfaction, high retention, excellent word of mouth, and stellar customer service provided by every single member is why time and again customers choose Signs-N-Such. Each customer is different with different needs and that’s why SNS treats each project with a drive to make it to exceed the customer’s expectations. The skilled craftsmen and high-quality materials will lead to a sign that will last many years while looking pristine the whole time. Customers large and small look to Signs-N-Such to meet their many needs. So, whatever your industry, what ever your project, Signs-N-Such has the resources to make magic happen. We can, We will, We promise!